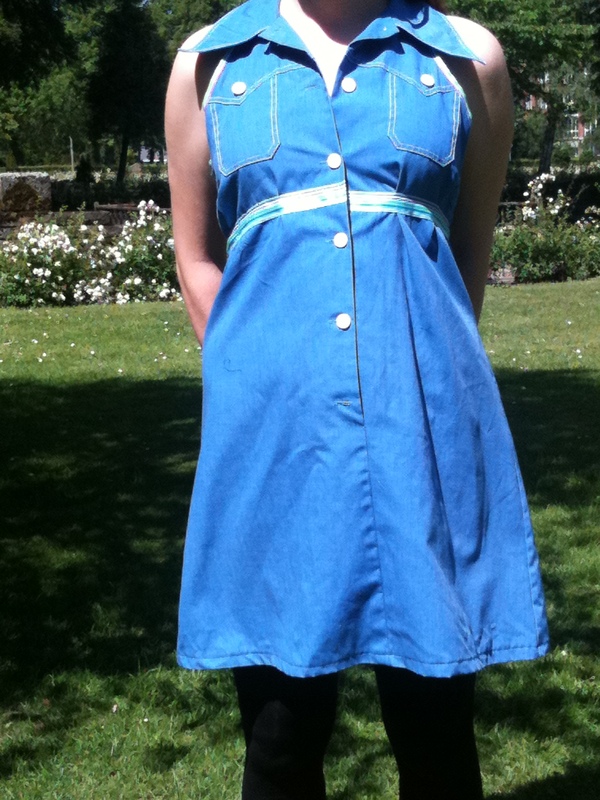 This is another dress I bought at a second hand store and decided to redesign. It originally looked like an old nurses dress. I forgot to take a picture. The design looked a lot like this: nurses dress. I started out by cutting out the back to make it a razor back and cutting of the sleeves. Then I added a multi-color ribbon to the edges and under the bust. I finished off by shortening the length. 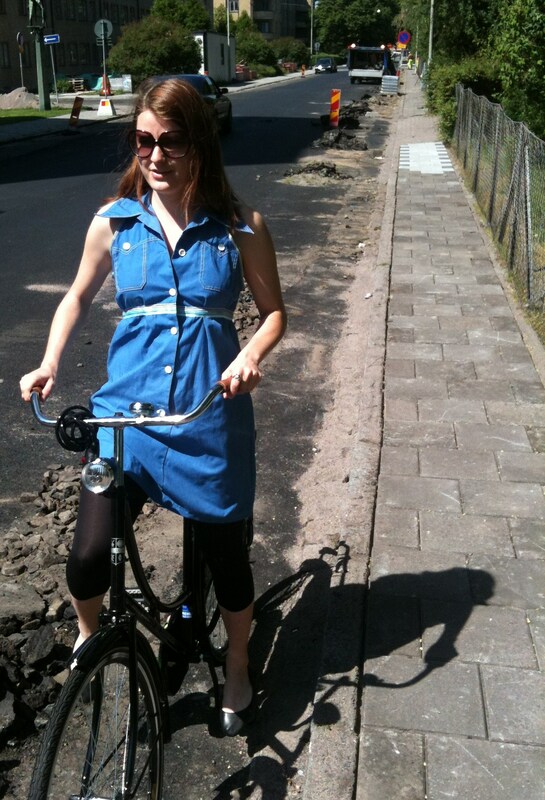 It’s perfect for a bike ride on my new bike (that my mother got me :)) on a warm summer day. Categories: LyllosMig, Sewing, Uncategorized | Tags: dress sewing, Lyllos Mig, Redesign, second hand, sewing, thrift store | Permalink.